2 days only! 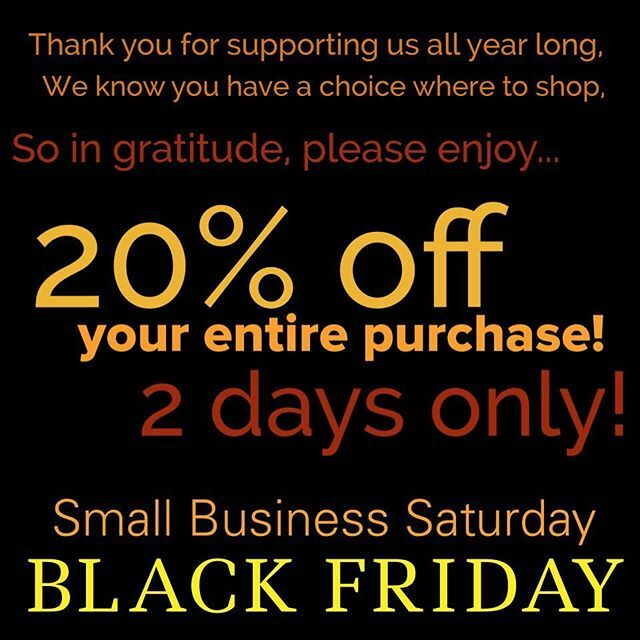 20% off your entire purchase this Friday and Saturday! November 24-25, 2017. #ShopSmall #shopLocal.